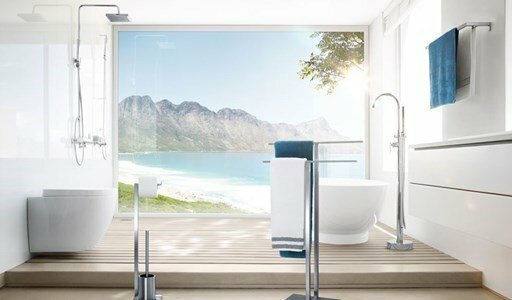 Menoto, a spa towel holder at your home. The natural, subtle appearance of the graphite-colored base contrasts with the stainless steel, creating a modern, harmonious look, presented by the Menoto line. 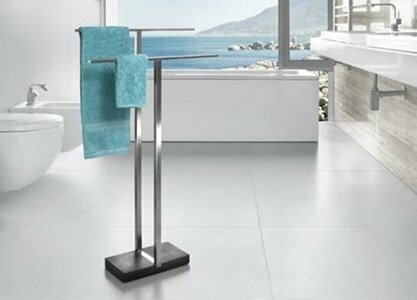 Add elegance and style to your bathroom with this double towel holder! Its structure, made of mate stainless steel and its base, made of artificial stone, gives a spa touch to your bathroom.